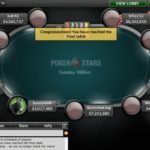 A pro poker player from the United Kingdom named Ymobad is the new winner of latest Sunday million event took place on 10/30/16 at PokerStars. 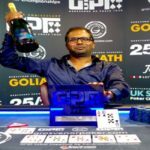 He collected the first prize of amount $136,196 and defeated a top field size of 5,542 players. The tournament is a famous one, which attracts thousands of poker players from around the world every week. This week the event received 5,543 entries for its $215 buy in No Limit Hold’em and generated a prize pool of amount $1,108,600. Top 764 places of the game received some amount of money. 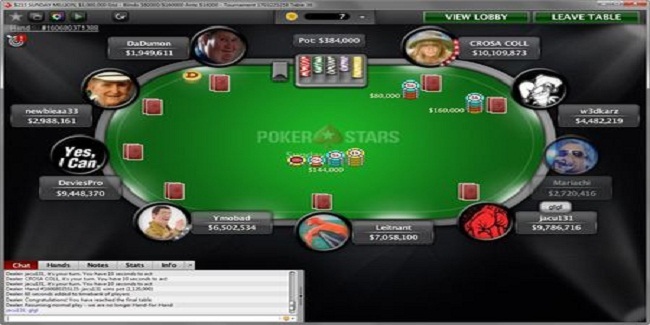 Jacu131 a professional poker pro from Poland took home $131,273 from the game, being the runner up. A deal took place in between winner and runner up and according to that they collected their winning share. Final table of nine players was set after playing many hours and it was Czech Republic’s NNNQQQ who fell to enjoy the final tablist and finished at 10th place. Seat#1,seat#2 and seat#3 belongs to players from Uruguay, Poland and Norway and they were CROSA COLL (10,205,873 in chips), w3dkarz (4,658,219 in chips) and Mariachi (2,736,416 in chips) . Seat#4, seat#5 and seat#6 were for jacu131 (9,802,716 in chips), Leitnant (7,074,100 in chips) and Ymobad (6,518,534 in chips). The past Sunday Million event Finalist Simon “DaDumon” Grabenschweiger of Austria was the first man to go out from the game. 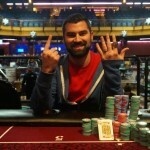 He finished for ninth place and made $8,757 from the game. 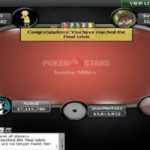 Mariachi from Norway was the next man who hit the rail to eighth place for $12,568, whereas Slovakian newbieaa33 collected $18,038.36 from the game being at seventh place.